Corrected email to clarify that the event is a Season Ticketholder Only event. The Season-Ticketholder Only Event will include the jersey unveiling and a Q&A session with Chicago Blackhawks Senior Director of Minor League Affiliations, Mark Bernard, and new IceHogs Head Coach, Jeremy Colliton. 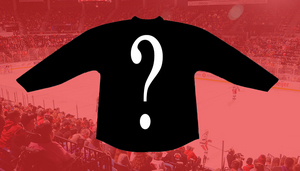 As part of the festivities, the IceHogs are inviting fans to submit questions for Bernard and Colliton prior to the event, and team broadcaster Bob Mills will then ask a select group of those questions during the night's proceedings.